An inspired name in the world of cannabis strains, Skywalker is an Indica dominant hybrid which infuses the relaxation of Blueberry derived Skywalker properties, to the strong aroma of OG Kush. 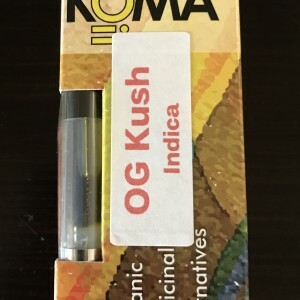 Often cited as one of the most potent of all the OG Kush strains, it has a consistently high THC level of 20%. Nevertheless, it is a fantastic example of when the growing houses of Amsterdam and the US combine..achem..forces. With typically tightly packed, medium sized buds Skywalker OG definitely looks the part. Orange hairs and a range of vibrant purples and fresh looking green leaves cover these buds making it easy to see the appeal even just on a visual level. Pungent, earthy and sweet this typical Indica also includes scents which veer towards the spicy side whilst still managing to maintain elements of citrus and sugary sweetness. This is accentuated when grinding this strain as skunky driven diesel smells release from each nug. Some have even claimed coffee and licorice traces. Skywalker OG delivers a strong and full body buzz with mild numbness. A strong sense of relaxation is felt with this strain which is the most common reason for smokers to return to this blend. This will not leave you couch locked though and everyday activities can easily be handled. Either way, the smoke itself is smooth and flavoursome and of course, highly pleasurable. Skywalker OG is great for pain relief and any physical limitations and most users enjoy the 2 hours of comfort that this strain provides. Consequently this is also a good choice for insomnia sufferers due to the Indicas soothing and sleep inducing features. This plant can be grown indoors and outdoors and has a flowering period of 9-10 weeks. Unfortunately its yield is low to moderate which makes it ideal for intermediate and lower level growers. Buy High Quality and Original Skywalker OG (Indica) Hybrid Cannabis Strains online at Marijuana Floor.